There is often a lot of confusion when it comes to dentistry because so many practitioners delight in using the big, long, and complicated words. In some ways, this is because it was drilled into them at dental college and they find it difficult to slip back into a more casual way of speaking. For others, it is because they like to show off their knowledge and sound important and clever. For some, they do not even realize that they are doing it! However, it is a very real barrier for many people who want to be able to understand dentistry as a patient because there is just so much jargon in the room that they are not able to follow what is going on – and the biggest challenge that almost every single patient faces is understanding the difference between a dentist and a holistic dentist. 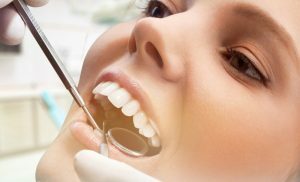 Now, for some people they will meet this problem immediately because their nearest or most recommended dental practice is a holistic dental clinic. As soon as they step through the doors, they will want to ask someone what a holistic dental clinic is but most of the time they will be too embarrassed to ask. They will assume that it is a very obvious thing, and then feel stupid because they do not know. This is certainly not the intention of any holistic dentist at all, but it is a natural side effect of having a slightly fancier title for your job that is rarely explained anywhere! And so, the patient goes through their appointment, diagnosis, and potentially even treatment without really understanding who is doing all of this to them, and what makes them different from a normal dentist! So when it all comes down to it, what is the difference? Well, a normal dentist will go through dental college and pass all of their exams to become a qualified dentist and then usually go immediately into practice. It is a relatively easy and very simple route to understand and to follow. A holistic dentist on the other hand does things a bit differently. They start out at the same dental college and they pass all of the same exams to become a dentist, but instead of going straight into practising their skills they do some extra training. This extra training is the ‘holistic’ part, and it means that they have more experience and more expertise than most dentists do. This training enables them to give different types of diagnosis techniques and treatments which are often much better for the patient. An example of this is mercury fillings. A normal dentist will take a look at your teeth, see that they have a problem, and decide that you need a filling. They will put together a mercury filling, slap it in your mouth, and pronounce that you have been healed of your health problems. A holistic dentist based in a holistic dental clinic however will do things a little differently. They know that mercury has been considered a deadly poison for the last few hundred years, so once they see that you need a filling, they will create a composite fillings from non-toxic and non-reactive materials that looks the same color and shade as your actual tooth. When they fit it in, they will be confident that it will blend in with the rest of your mouth so well that no one will even notice that it is there. That is the key difference between a normal dentist from a dental practice and a holistic dentist from a holistic dental clinic – the latter goes the little extra mile to ensure that you are healthier and happier.